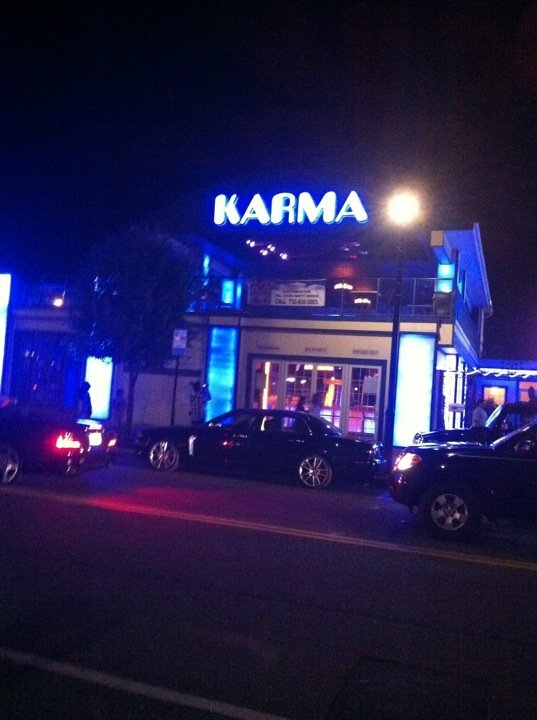 For those familiar with the MTV Show “The Jersey Shore”, you may be aware of a club named Karma that was frequented by the cast. However, Club Karma a lightning rod for controversy even before it gained national attention. Dating back as far as the early 1990s, the local municipality, Seaside Heights, and Club Karma have had a tumultuous relationship. This reached a breaking point during this past summer when the Borough Administrator, Christopher Vaz, did not want to recommend that the retail consumption license for Club Karma be renewed. By not renewing the license, Seaside Heights would effectively shut-down the operations at Club Karma indefinitely. On November 14, 2018, John P. Saddy, on behalf of Karma, filed a federal lawsuit against the Borough of Seaside Heights. The lawsuit alleged, among other things, that borough officials unfairly targeted the business through an unconstitutional, discriminatory and racist policy. Specifically, Karma alleged that the Borough’s policy discouraged the inclusion of African-American and LGBTQ visitors to Seaside Heights. The lawsuit states that “[c]ontrary to the Borough of Seaside Heights’ public claims that it is trying to promote a ‘family environment,’ the borough, through the individually named defendants, is actually trying to promote a ‘white’ and ‘straight’ environment.” The lawsuit does not make any specific amount of financial damages but requests compensatory damages and punitive damages based on the intentional and malicious acts of the Defendants. What is the Borough’s Response to the Lawsuit? When reached for comment, the borough officials have flatly denied the allegations contained within the lawsuit. Jean Cipriani, Seaside Height’s Borough Attorney, stated that the lawsuit is full of “outrageous, false and inflammatory allegations made by an individual who is looking for money and who is willing to make wild and unsupported smears about public servants in pursuit of that money. . . The Borough of Seaside Heights does not discriminate on the basis of race or sexual preference or identity. Period.” It is the Borough’s belief that their attempts to revoke that license during the renewal process in the Summer of 2018 led to this lawsuit being filed as an act of retaliation. Nightclubs, including Karma, were targeted by police / borough officials, who threatened to disrupt the businesses if hip hop/ rap events were scheduled. On May 27, the Borough orchestrated a warrant-less and unjustified “raid” at Karma during an event. Threats from Borough Administrator Christopher Vaz that events involving hip hop, rap or LBGTQ events would result in “police living” at this venues. After the borough was devastated by superstorm Sandy in October 2012, Saddy spoke with Administrator Christopher Vaz about hosting hip hop, rap and LBGTQ events to boost his sagging revenue. Vaz replied that if Saddy hosted such events,”the police would be living” at his venues. In 1992, the Borough allegedly threatened that a failure to support certain political candidates would result in the passage of an ordinance reducing the time in which alcohol could be served/sold in the Borough. Seaside Heights Police Chief Boyd allegedly told John Saddy that he should not hold an event involving Hennessy cognac because the event “would attract too many African-Americans to Seaside Heights.” Furthermore, they allege that if the event occurred, then it would result in a raid by the police department. Can the Town Raid a Liquor License Establishment? Technically, under Title 33 of the New Jersey Statutes dealing with Alcoholic Beverage Law, municipal law enforcement officers, under the direction of the ABC Director or local issuing authority, may conduct warrant-less searches of liquor license establishments at any time. However, there are restrictions to the legality of these searches. First and foremost, these searches/investigations cannot be conducted as a pretext to a criminal investigations. What this means is that law enforcement officers cannot use this warrant exception as grounds to pursue a criminal investigation when they do not have a warrant. It is still unclear where this lawsuit will eventually end, but it certainly brings the relationship between the licensee and the the town to an impasse. Proetta & Oliver is a New Jersey Alcoholic Beverage Law Firm. We represent bars, restaurants, breweries, distilleries, wineries, distributors, wholesalers and solicitors. If you have any questions or concerns regarding New Jersey’s Division of Alcoholic Beverage Control or State ABC Laws, please contact our office today.